High Dynamic Range Video Camera with Elements of the Pattern Recognition. A. Sergiyenko, P. Serhienko, Ju. Zorin. High Dynamic Range Video Camera with Elements of the Pattern Recognition. 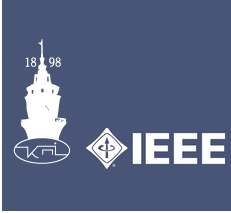 //IEEE 38th International Conference on Electronics and Nanotechnology (ELNANO), Kyiv, April 2018. 2018. –P.435-438. Abstract. The issues of development of the system for the high dynamic range (HDR) image processing are considered. The HDR images are often used in the medical image processing and pattern recognition. The modified Retinex method for the HDR image compression is proposed, in which the bilateral filter is substituted by the adaptive filter. This edge-preserving filter is based on the Harris-Laplace detectors, and on the Gauss filter with the regulated kernel. The detector outputs give the information about the local properties of the image and can help to perform the effective pattern recognition. The experimental HDR video camera is built on the base of the Lattice HDR-60 board. Keywords — HDR, FPGA, Retinex, Bilateral Filter, Feature Extraction.